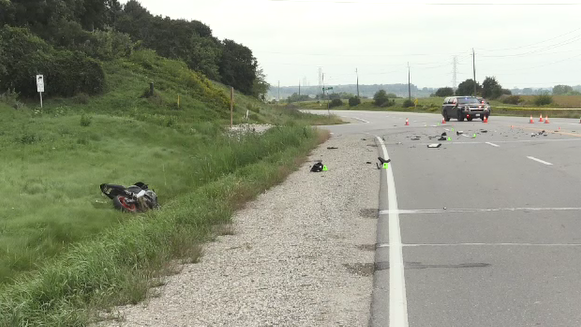 [h=1]Driver killed in crash near Ingersoll[/h]A motorcycle driver has died after a collision with an SUV near Ingersoll. The collision happened around 10 a.m at the intersection of Karn Road and Foldens Line (County Road 6). The man driving the motorcycle had life-threatening injuries and was later pronounced dead in hospital.